UNION OF INDIA and ORS Vs. RAKESH KUMAR and ORS. Respondent: RAKESH KUMAR and ORS. These appeals have been filed by the Union of India, Divisional Railway Manager, Northern Railway alongwith few other Railway Authorities challenging judgments of Delhi High Court by which writ petitions filed by the appellants have been dismissed. All the appeals raise similar questions of law and are based on almost identical facts. It shall be sufficient to note the facts of C.A. No.3938 of 2017 arising out of SLP (C) No. 23723 of 2015 in detail for appreciating the issues raised in this batch of appeals. 2. The respondents to the appeal were initially appointed as casual labour in the Northern Railway, after working for one or more years, they were granted temporary status and subsequently regularised against regular posts. For example, the Respondent No. 1 was engaged on casual basis from 27.06.1984 and w.e.f. 22.06.1985 he was granted temporary status. Subsequently, w.e.f. 31.12.1996 he was regularised against a post and has been working in such capacity at New Delhi Railway Station. Respondent No. 1 raised a grievance regarding granting him full service benefit from 22.06.1985 to 31.12.1996 instead of 50 per cent service benefit. Similarly, Respondent Nos.2 “ 24 were engaged initially on casual basis and after one or two years were granted the temporary status and thereafter were regularised w.e.f. 31.12.1996. All the respondents raised the same grievance i.e. giving full service benefit for the period during which they were working, having temporary status. Respondent Nos.1 to 24 filed O.A.No.2389 of 2014 before the Central Administrative Tribunal Principal Bench, New Delhi. 3. Before the Tribunal the applicants claimed for following reliefs:- "(a) To direct the respondents to count the services rendered by the applicants in the capacity of casual labour as 50% after counting 120 days and 100% from the date of temporary status till their regularisation for the purpose of pension and pensionary benefits and other benefits as a qualifying service. (b) To direct the respondents to extend the benefits of judgment and order passed in Shyam Pyare & Ors. vs. UOI & Ors. which is on the basis of Shaikh Abdul Khadar’s Judgment for the purpose of pension and pensionary benefits as well as other consequential benefits, accordingly the respondents be directed to examine the cases of the applicants in accordance with law. 4. The Tribunal relying on its earlier order dated 29.05.2014 in a similar case being O.A.No.1921 of 2014, Shri Prem Pal vs Union of India and Ors. allowed the Original Application filed by the respondent. Tribunal in its order dated 18.07.2014 referred to various orders passed by it wherein Tribunal had held that a casual labour after having been granted temporary status is entitled to reckon 100 per cent period of service with temporary status for the pensionary benefit. 6. The Union of India and Railway Authorities aggrieved by the aforesaid directions of the Tribunal filed writ petition before Delhi High Court being Writ Petition No. 7783 of 2014. The case of the appellants before the High Court was that only 50 per cent of the temporary status of service can be counted for the purpose of the pensionary benefit. It was pleaded in the writ petition that the judgment of Andhra Pradesh High Court in General Manager, South Central Railway, Secunderabad & Anr. vs. Shaik Abdul Khader reported in 2004 (1) SLR 2014 had been dissented by the Andhra Pradesh High Court itself in a subsequent judgment dated 01.05.2009 in Writ Petition(C) No. 10838 of 2001, General Manager, South Central Railway, Secunderabad vs. A. Ramanamma. It was further pleaded that Para 2005 of IREM permits only 50 per cent of temporary status service to be counted for purposes of pensionary benefit. 7. Delhi High Court vide its judgment and order dated 14.11.2014 dismissed the writ petition following its earlier judgment dated 10.11.2014 in W.P. (c) 7618 of 2014 in Union of India vs. Prem Pal Singh. It is useful to extract the entire judgment of the Delhi High Court dated 14.11.2014: “The dispute in this case is as to the manner in which the respondents/applicants’ period of service to be counted for the purpose of terminal and pensionary benefits. The petitioner Union of India is aggrieved by an order of the Central Administrative Tribunal dated 18.07.2014. At the outset, it was pointed out that this Court in W.P. (C)7618/2014 and connected case (Union of India & Ors. vs. Prem Pal Singh), decided on 10.11.2014 had occasion to deal with an identical matter. The only difference was that the orders of the CAT in those cases was made on 06.02.2014 and 29.05.2014. The Court had on that occasion taken into consideration the Railway Service (Pension) Rules, specifically Rule 20 as well as the Master Circular no.54 (paragraph 20) and paragraph 2005 IREM. 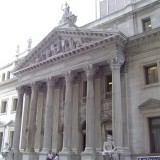 In addition, the Court had considered various rulings including those of the Supreme Court and held that 50% of the period spent by casual employee subject to his being conferred temporary status and eventual regularisation was entitled to reckon for the purposes of pensionary and terminal benefits and likewise the entire period of temporary service – subject to regularisation “ was eligible to be counted for the purposes of pension and terminal benefits. 10. The appeal had been filed against the judgment of the Delhi High Court dated 18.11.2014 in W. P. (C) No. 7913 of 2014. The W. P.(C) No. 7913 of 2014, following the judgment dated 10.11.2014 in Union of India & Ors. vs. Prem Pal Singh (Supra), has been dismissed. The respondents were also appointed as casual labourers who were subsequently granted temporary status and were thereafter, regularised against permanent posts. They also claimed entire period of temporary status to be considered for pensionary benefit. An O.A.No.2221 of 2013 was filed which was allowed on 23.05.2014 against which W.P. (C) No. 7913 of 2014 was filed, which was dismissed on 18.11.2014. 11. The appeal has been filed against judgment of Delhi High Court dated 18.01.2016 in W.P. (C) No. 10202 of 2015 and other connected writ petitions. The High Court following its earlier judgment dated 10.11.2014 in Union of India & Ors. vs. Prem Pal Singh (Supra) had dismissed the writ petitions. The respondents were also casual employees, who were granted temporary status and thereafter, regularised. They claimed reckoning of the 100 per cent service period performed by them after obtaining temporary status for the purpose of pensionary benefit. Original Application was filed before the tribunal which was allowed against which the writ petition was filed. 12. The appeal had been filed against the judgment and order dated 18.01.2016 passed by Delhi High Court in W.P. (C) No.10706 of 2015. The High Court relying on its earlier judgment dated 10.11.2014 in Union of India & Ors. vs. Prem Pal Singh (Surpa) dismissed the writ petition. The respondents were also casual labourers, who were granted temporary status and thereafter, regularised against the permanent posts. Original Application was filed before the Tribunal which was allowed against which judgment, the writ petition was filed, which got dismissed. 13. The appeal has been filed against the judgment of the Delhi High Court dated 31.03.2016 in W.P.(C)No. 9286 of 2015. The High Court relying on its earlier judgment dated 10.11.2014 in Union of India & Ors. vs. Prem Pal Singh (Supra) had dismissed the writ petition. The respondents were also engaged as casual labourers, who were accorded temporary status and thereafter were regularised. Original Application filed by the respondents were allowed holding that they were entitled to reckon the entire period of temporary service for pensionary benefit, which order was affirmed by the High Court. 14. This appeal has been filed against the judgment and order dated 18.01.2016 in W.P. (C) No.11521 of 2015. The High Court relying on its earlier judgment dated 10.11.2014 in Union of India & Ors. vs. Prem Pal Singh (Supra) dismissed the writ petition. The respondents were also initially appointed as casual labourers and thereafter, granted temporary status and subsequently, were regularised for the permanent posts. They filed an O.A. before the Central Administrative Tribunal, claiming reckoning of entire period of temporary service for pensionary benefit, which application was allowed, aggrieved by which order Union of India had filed an application, which had been dismissed. 15. From the facts, as noted above, it is clear that all the writ petitions filed by the Union of India giving rise to the above appeals have been dismissed relying on the judgment of the High Court dated 10.11.2014 in W. P.(C) No. 7618 of 2014 and W. P.(C) No. 7627 of 2014. Against the judgment dated 10.11.2014 in W. P.(C) No. 7618 of 2014, an SLP (C) No. 23720 of 2015 had been filed, which was heard on 08.03.2017. SLP (C) No. 23720 of 2015 had been disposed of in view of the statement made by the learned counsel for the respondents as noticed in the order dated 08.03.2017. However, against the same judgment dated 10.11.2014 rendered in W.P(C)No. 7618 of 2014 and W.P. (C) No. 7627 of 2014 the Union of India has filed SLP(C) No. 23725 of 2015 arising out of W.P.(C)No. 7627 of 2014 which is also taken up for consideration in this batch of appeals. 16. Judgment of Delhi High Court dated 10.11.2014 had been followed in all other cases. We shall refer to the judgment of the High Court dated 10.11.2014 as the impugned judgment while considering all these appeals. 17. We have heard, Mr. Maninder Singh, learned Additional Solicitor General on behalf of the appellants. We have also heard Mr. M.C. Dhingra, and other learned counsel appearing for the respondents in support of the judgment of the Delhi High Court. 18. 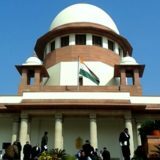 Learned Additional Solicitor General in support of the appeal contended that the High Court committed error in holding that a casual employee is entitled to reckon the 100 per cent period after getting temporary status for computation of pension. He submitted that the computation of pension is governed by statutory rules, namely, Railway Services (Pension) Rules, 1993 (hereinafter referred to as ‘Rules,1993’), under which only 50 per cent period can be counted of a casual labour, who attains a temporary status as per Rule 31 of Rules,1993. He contended that the judgment of Andhra Pradesh High Court in General Manager, South Central Railway, Secunderabad & Anr. vs. Shaik Abdul Khader reported in 2004 (1) SLR 2014 which is the basis of the judgment of the High Court, had itself been dissented and not followed by the Andhra Pradesh High Court in General Manager, South Central Railway vs. A. Ramanamma(Supra) decided on 01.05.2009. It is contended that casual labourer who is granted temporary status is paid out of contingency and is governed by Rule, 31 of Rules, 1993. 19. He further contended that the issue is completely covered by the judgment of the Apex Court reported in General Manager, North West Railway & Ors. vs. Chanda Devi, 2008 (2) SCC 108 and High Court as well as Tribunal had committed error in holding that casual worker after obtaining temporary status is entitled to reckon 100 per cent period of service. He submitted that the Delhi High Court has committed error by not following the judgment of this Court in Chanda Devi case (Supra) and inappropriately distinguished the same by saying that it did not consider Rule, 20 of Rules, 1993. 20. Learned counsel for the respondents refuting the submission of counsel for the appellants contended that the High Court has not committed any error in dismissing the writ petition of the appellants. It is contended that after obtaining the temporary status entire service is to be reckoned for computation of pension. It is further contended that under Rule, 20 of Rules, 1993 qualifying service to a Railway Servant commences from the date he takes charge of the post either substantially or in officiating or in temporary capacity of employment. The respondents were granted temporary status, their working is in temporary capacity and they are entitled for the benefit under Rule, 20 of Rules, 1993. It is contended that the judgment of the Andhra Pradesh High Court in General Manager, South Central Railway vs. Shaik Abdul Khader(Supra) had rightly been relied by the High Court. 21. Mr. M.C. Dhingra contended that there is no difference between Railway Servants, one who is paid out of Contingency or one that who is paid out of Consolidated Fund. He submitted that no distinction can be made from the source of payment. 22. From the above submissions of the learned counsel for the parties and materials on record, the only issue which arises for consideration in these appeals is: Whether the entire services of a casual worker after obtaining temporary status till his regular absorption on a post is entitled to be reckoned for pensionary benefit or only 50 per cent period of such service can be reckoned for pensionary benefit? 26. Next Provision need to be noted is Para 2005 of IREM, which is as follows:- "2005 IREM: 2005. Entitlements and privileges admissible to Casual Labour who are treated as temporary (i.e. given temporary status) after the completion of 120 day or 360 days of continuous employment (as the case may be). (a) Casual labour treated as temporary are entitled to the rights and benefits admissible to temporary railway servants as laid down in Chapter XXIII of this Manual. The rights and privileges admissible to such labour also include the benefit of D & A rules. However, their service prior to absorption in temporary/ permanent/ regular cadre after the required selection/ screening will not count for the purpose of seniority vis-a-vis other regular/ temporary employees. This is however, subject to the provisions that if the seniority of certain individual employees has already been determined in any other manner, either in pursuance of judicial decisions of otherwise, the seniority so determined shall not be altered. Casual labour including Project casual labour shall be eligible to count only half the period of service rendered by them after attaining temporary status on completion of prescribed days of continuous employment and before regular absorption, as qualifying service for the purpose of pensionary benefits. This benefit will be admissible only after their absorption in regular employment. Such casual labour, who have attained temporary status, will also be entitled to carry forward the leave at their credit to new post on absorption in regular service. Daily rated casual labour will not be entitled to these benefits. Provided that the weightage for past service paid from contingencies shall be limited to the period after 1st January, 1961 subject to the condition that authentic records of service such as pay bill, leave record or service-book is available. NOTE – (1) the provisions of this rule shall also apply to casual labour paid from contingencies. 28. The perusal of para 20 of the Master Circular indicates that only half of the period of service of a casual labour after attainment of temporary status on completion of 120 days continuous service if it is followed by absorption in service as a regular Railway employee, counts for pensionary benefits. "20. Commencement of Qualifying service: Subject to the provisions of these rules, qualifying service of a railway servant shall commence from the date he takes charge of the post to which he is first appointed either substantively or in an officiating or temporary capacity. 33. The above judgment of Andhra Pradesh High Court was subsequently considered by the Andhra Pradesh High Court itself in Writ Petition No. 10838 of 2001, the General Manager, South Central Railway, Secunderabad & another Vs. A.Ramanamma decided on 01.05.2009 wherein earlier judgment of Andhra Pradesh High Court in Shaikh Abdul Khader(Supra) was not followed after referring to judgment of this High Court in General Manager, North West Railway & others Vs. Chanda Devi, 2008 (2) SCC 108. 35. The Judgment of this Court in Chanda Devi’s case(Supra) considered the nature of employment of casual labour who was granted temporary status. In the above case, Smt. Santosh, the respondent was widow of Sh. Ram Niwas who was a project casual labour. Under the scheme framed by Union of India in pursuance of order of this court in Inderpal Yadav Vs. Union of India, 1985 (2) SCC 648, Ram Niwas was treated as temporary employee w.e.f 01.01.1986. After the death of Ram Niwas, her widow filed the claim for grant of family pension which was rejected by the Railway against which the widow approach the Central Administration Tribunal. The Tribunal allowed the claim, Writ Petition filed by Union of India was dismissed by the Rajasthan High Court against which the appeal was filed. After referring to Rule 2001, Rule2002 and Rule 2005 of IREM, this Court held that Rule 2005 clearly lays down the entitlement and privileges admissible to casual labour who are treated as temporary i.e. given temporary status. But evidently the provisions of the Railway Manual were not considered in their proper perspective. 38. In Chanda Devi’s case, ultimately this Court set aside the judgment of Rajasthan High Court which held that the widow of Shri Niwas was entitled for pension. This Court held that there is a distinction between casual labour having temporary status and the temporary servant. The cases before us are all the case where casual labour has been granted temporary status. Grant of temporary status is not equivalent to grant of an appointment against a post. 40. Rule 20 provides that qualifying service shall commence from the date the employee takes charge of the post to which he is first appointed either substantively or in an officiating or temporary capacity. Rule 20 is attracted when a person is appointed to the post in any of the above capacities. Rule 20 has no application when appointment is not against any post. When a casual labour is granted a temporary status, grant of a status confers various privileges as enumerated in para 2005 of IREM. One of the benefits enumerated in para 2005 sub clause(a) is also to make him eligible to count only half of the services rendered by him after attaining temporary status. Rule 20 is thus clearly not attracted in a case where only a temporary status is granted to casual worker and no appointment is made in any capacity against any post. The Delhi High Court in the impugned judgment relies on proviso to Rule 20 for coming to the conclusion in para 7 of the judgment. 42. The above Proviso has to be read along with the main Rule 20, when main Rule 20 contemplates commencement of qualifying service from the date he takes charge of the post, the appointment to a post is implicit and a condition precedent. The proviso put another different condition that officiating or temporary service is followed, without interruption, by substantive appointment in the same or another service or post. The proviso cannot be read independent to the main provision nor it can mean that by only grant of temporary status a casual employee is entitled to reckon his service of temporary status for purpose of pensionary benefit. 45. Thus except to the above extent, the judgment of Andhra Pradesh High Court in A. Ramanamma case lays down the correct law. 46. As observed above, the grant of temporary status of casual labour is not akin to appointment against a post and such contingency is not covered by Rule 20 and the same is expressly covered by Rule 31 which provides for “half the service paid from contingencies shall be taken into account for calculating pensionary benefits on absorption in regular employment subject to certain conditions enumerated there in.” Thus Rule 31 is clearly applicable while computing the eligible services for calculating pensionary benefits on granting of temporary status. 47. In the impugned judgment of the Delhi High Court it is held that entire services of casual labour after obtaining temporary status who was subsequently regularised is entitled to reckon. Casual labour who has been granted temporary status can reckon half of services for pensionary benefits as per Rule 31. The reasons given by the Delhi High Court in the impugned judgment in para 6, 7 and 8 having been found not to be correct reasons, we are of the view that judgment of Delhi High Court is unsustainable and deserved to be set aside. Provided that no such order shall be made without concurrence of the Department of Pension and Pensioners’ Welfare, in the Ministry of Personnel, Public Grievances and Pensions, Government of India.” 50. Thus, in cases of those railway servants who are not eligible as per existing rules for grant of pension and there are certain mitigating circumstances which require consideration for relaxation the proposals can be forwarded by Pension Sanctioning Authority to Railway Board in an individual or group of cases. We, thus, while allowing this appeal and setting aside the judgment of the High Court leave it open to the Pension Sanctioning Authority to recommend for grant of relaxation under Rule 107 in deserving cases. 51. Shri M.C.Dhingra, learned counsel for the respondent referred to case in Punjab State Electricity Board & Another Vs. Narata Singh & Another, 2004 (3) SCC 317. In the above case, the issue for consideration was as to whether work-charged services rendered by respondent in the Department of Punjab State can be counted for the purpose of calculating qualifying service for pension payable to him as an employee of the Punjab State Electricity Board. The High Court has issued directions for counting the services rendered in the Irrigation Department of the State of Punjab for calculating pension of the respondent in Punjab State Electricity Board. Punjab State Electricity Board aggrieved by the judgment, filed SLP before this Court. This Court noticed that in the above judgment the Punjab State Electricity Board has adopted earlier decisions in which pensionary liability in respect of temporary services rendered in the Government of India and State Government were taken into consideration. Para 19 and para 20 of judgment as cited below: "19. The above-mentioned policy decisions taken by the Central Government and the Government of Punjab were taken into consideration by the Board which issued a Memo dated 25-11-1985 with reference to the subject of allocation of pensionary liability in respect of temporary service rendered in the Government of India and the State Government and adopted the policy decision reflected in the Letter dated 20.05.1982 of the Government of Punjab, w.e.f. 31.03.1982 as per the instructions and conditions stipulated in the said letter. This is quite evident from Memo No. 257861/8761/REG.6/V.5dated 25.11.1985 issued by the Under Secretary/P&R/for Secretary, PSEB, Patiala. 20. The effect of adoption of the policy decisions of the Central Government and the State Government was that a temporary employee, who had been retrenched from the service of the Central /State Government and had secured employment with the Punjab State Electricity Board, was entitled to count temporary service rendered by him under the Central/State Government to the extent such service was qualified for grant of pension under the rules of the Central/State Government." 52. With regard to the work-charged services, Punjab High Court had taken note of the judgment in Kesar Chand Vs. State of Punjab, (1988) 5 SLR 27(Punjab & Haryana) wherein Rule 3.17(ii) of the Punjab Civil Services Rules providing that period of service in work-charged establishments as not qualifying service was struck down. Thus the work-charged services rendered by respondent in the State Government was counted. 53. The above judgment in no manner helps the respondent in the present case. This Court in the above case interpreted statutory rules and circulars issued by the State Government as well as by the Board. The said judgment has no application in the facts of present case. 54. Another judgment relied by Shri Dhingra is in CWP No.2371 of 2010 [Harbans Lal versus State of Punjab & Ors.] decided on 31.08.2010. In the said case also Punjab and Haryana High Court considered the Punjab Civil Services Rules and pension scheme which came into effect w.e.f. 01.01.2004. The said judgment was on different statutory rules and in facts of that case, which does not help respondent in the present case. 55. In view of foregoing discussion, we hold : i) the casual worker after obtaining temporary status is entitled to reckon 50% of his services till he is regularised on a regular/temporary post for the purposes of calculation of pension. ii) the casual worker before obtaining the temporary status is also entitled to reckon 50% of casual service for purposes of pension. iii) Those casual workers who are appointed to any post either substantively or in officiating or in temporary capacity are entitled to reckon the entire period from date of taking charge to such post as per Rule 20 of Rules, 1993.
iv) It is open to Pension Sanctioning Authority to recommend for relaxation in deserving case to the Railway Board for dispensing with or relaxing requirement of any rule with regard to those casual workers who have been subsequently absorbed against the post and do not fulfill the requirement of existing rule for grant of pension, in deserving cases. On a request made in writing, the Pension Sanctioning Authority shall consider as to whether any particular case deserves to be considered for recommendation for relaxation under Rule 107 of Rules, 1993. 56. In result, all the appeals are allowed. The impugned judgments of Delhi High Court are set aside. The writ petitions filed by the appellants are allowed, the judgments of Central Administrative Tribunal are set aside and the Original Applications filed by the respondents are disposed of in terms of what we have held in para 55 as above. ………………………J. NEW DELHI, ( ASHOK BHUSHAN ) MARCH 24, 2017. Tags: A.K. SIKRICIVIL APPEAL NO. 3938 OF 2017RAKESH KUMAR and ORS.Union of India and Ors.